You need to register the installation number with Four Js to validate the license and obtain the installation key. Alternatively, you can also register by contacting your local Four Js support center by phone. Typically, these are delivered by email from Four Js with your product. If you do not have them, contact your local Four Js sales office. 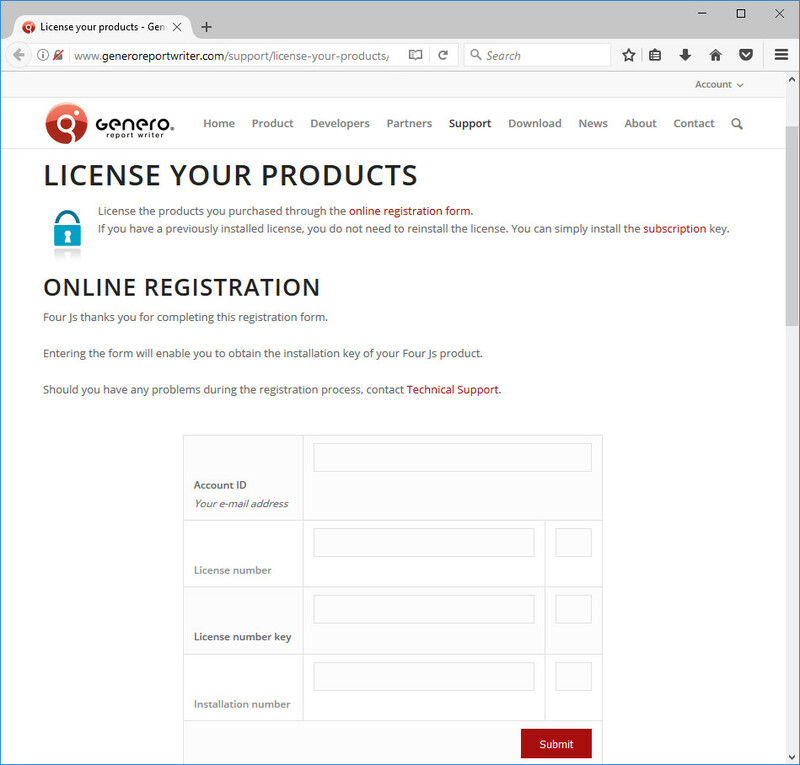 Navigate to the Support > License your products page. The Online registration form is displayed. Complete the Online registration form making sure that everything is entered correctly and select Submit. At this point, you need to install the installation and maintenance keys.